· Responsible for the maintenance of professional standards in the management of information materials. · Perform duties that may be assigned from time to time by Management. · Served continuously for a minimum period of 5 years’ post-graduation in Senior management in a large Library set up. · Demonstrated outstanding leadership, professional competence and administrative ability in the overall management of a library Function. · Shown merit and competence in work performance and results. · Other related skills and experience will be an advantage. · The Assistant Director (Technical Services) will assist in the co-ordination of Library services and will be responsible to the Deputy Director Technical Services. · Surveying, identifying and maintain a database of possible areas for establishment of libraries. · Liaising with County Governments and other Stakeholders to mobilize local resources for library development. · Networking and partnerships; seeking support from other funding agencies (e.g. NGOs, private sector, community) for library development. · Co-ordinate advisory services, research, budgeting, projects and participation in development related forums. · Five (5) years continuous work experience post-graduation, three (3) of which must be in Senior Management in a large Library set up. · The Assistant Director, Human Resource Management will co-ordinate the Human Resource Services and will be responsible to the Deputy Director/ Finance & Administration for the efficient operation and management of the Human Resource function. · Initiate processes for senior level decision making on matters relating to Human Resources. · Initiate, formulate, develop and implement appropriate Human Resource Policies and, Procedures that result in improved Human Resource standards. · Developing and managing organizational performance systems. · Co-ordinate organizational staff training and development programs. · Development of strategies for management of organizational culture and change. · Initiate reviews for efficient compensation of all staff benefits and implementation of reward systems. · Developing and controlling organizational Personnel Emoluments (PE) budget. · Co-ordinates employee grievances and labour relations. · Co-ordinate enforcement of organizational discipline and compliance to the rules and regulations of the Board. · Co-ordinate optimal staffing levels to ensure efficient and uninterrupted service delivery. · Develop and maintain efficient registry to facilitate effective operations and service delivery. · Master’s Degree in Human Resource Management or its equivalent from a recognized University/Institution. · Five (5) years continuous work experience post-graduation, three (3) of which must be in Senior Management in a similar or large institution. · Demonstrated outstanding leadership, professional competence and administrative ability in the overall management of a Human Resource Function. · Valid Human Resource Practicing License from Institute of Human Resource as per the Human Resource Management Professionals Act, 2012. · Assistant Director, Finance and Administration, will co-ordinate the Finance and Accounts services and will be responsible to Deputy Director, Finance and Administration. · Co-ordinate compliance to financial policies and procedures and ensuring sound financial principles and controls within knls. · Co-ordinate training and development of staff in the Finance & Accounts Department. · Co-ordinate and ensure fair and equitable distribution of resources across the branch network. · Co-ordinate the preparation, monitoring and reporting of budget. · A Master’s Degree in Business Administration- Finance/Accounting Option or it’s equivalent from a recognized institution. · Five (5) years continuous work experience post-graduation, three (3) of which must be in Senior Management as an Accountant of Auditor in a similar or large institution. · CPA (K) in good standing. · Demonstrated outstanding leadership qualities, professional competence and administrative management of an accounts division in a large institution. · Valid member of Finance/Accounting/Internal Auditors or any other relevant Professional Body. · Manages selection, collection, acquisition, organization and maintenance of library information materials and databases. · Five (5) years continuous work experience post-graduation, three (3) of which must be in Senior Management in a library set up. · Demonstrated outstanding leadership, professional competence and administrative ability in thenoverall management of a library Function. · Certified Public Secretary of Kenya (CPS (K) in good standing. · Valid Certificate of good conduct. · Evaluating effectiveness of internal controls. · Maintaining professional audit standards. · Served in the grade of internal Auditor II or in a comparable and relevant position for a minimum period of three (3) years post- graduation in a similar or large institution. · Demonstrated professional competence and capability in conducting and supervising both financial and management audits. 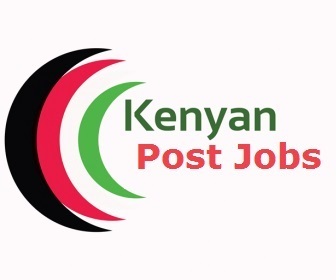 · Served in middle level management as an Administration Officer for a minimum period of three (3) years post- graduation in a similar or large institution. Kenya National Library Service is an equal opportunity employer, women and persons with disability are encouraged to apply.